United Against Nuclear Iran targets legal trade with Iran as part of its divestment campaign. The anti-Iran pressure group United Against Nuclear Iran (UANI) claims as its mission to stop the Iranian nuclear program. A big part of its effort revolves around what it calls “private sanctions campaigns”—attempts to get consumers to boycott or otherwise pressure companies doing business with Iran, while at the same time “striving not to punish the Iranian people,” as the group’s mission statement puts it. But the pledge to avoid harming “the Iranian people”—heard from many who take a hard line against Iran—rings hollow amid the breadth of UANI’s advocacy. A Nation investigation into UANI’s Iran Business Registry reveals a more muddled picture. The registry lists more than 1,100 companies doing business with or in Iran—legal or otherwise. While UANI accuses many of the companies of violating US or international sanctions, the listings also target for public pressure some companies doing entirely legal, humanitarian trade with Iran, including those engaged in selling Iran medicines—economic activity that is specifically exempted from sanctions by the US Treasury Department. The result appears to be an attempt to impose an unofficial total embargo on Iran. When successfully enacted as official policies, total embargoes have wrought extreme harm to the peoples of targeted countries. The most draconian period of sanctions against Iraq, for example, coincided with increases in malnutrition, and infant mortality there rose from one death per thirty births in 1990 to one per eight in 1997. 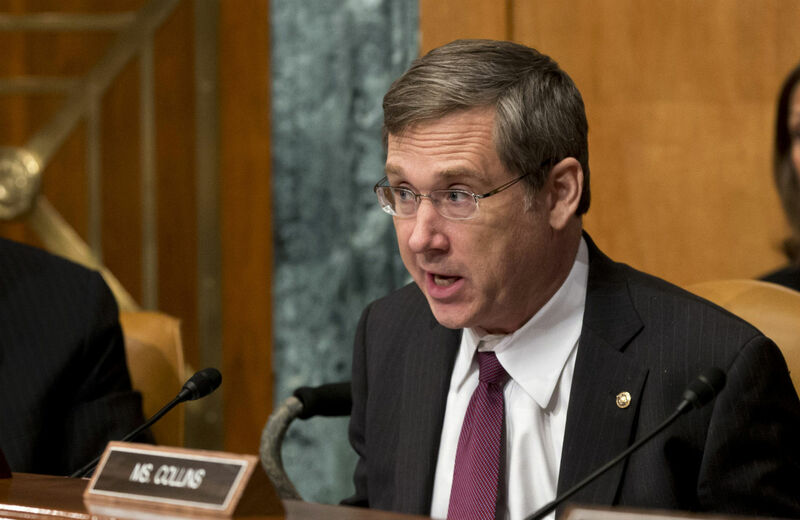 One of Washington’s most vociferous Iran hawks, Senator Mark Kirk (R-IL), whom UANI regularly praises and whose legislative initiatives it supports, has said, “It’s okay to take the food out of the mouths” of the Iranian people to punish their government for its misdeeds. Intrigue seems to swirl around everything about UANI: its finances, ties to mining interests and policy positions have all raised many unanswered questions. And yet the group wields considerable clout in Washington. Its executive director, Mark Wallace, a former George W. Bush–appointed ambassador to the UN, has testified three times before Congress since taking UANI’s helm in 2008, and former intelligence chiefs from Germany, Israel and the UK lend their credibility by serving on the group’s advisory board. In September 2013, Dr. Gary Samore joined UANI as the group’s president following his retirement from the Obama administration as the White House’s coordinator for arms control and weapons of mass destruction. At UANI, Samore now leads a group campaigning for blacklisting companies doing humanitarian trade, some of which received Treasury Department licenses while he was still in the administration. UANI’s Iran Business Registry is aimed at “increasing the economic isolation of the Iranian regime by pressuring corporations to end their Iran business,” according to the group’s website. But unlike most of UANI’s name-and-shame campaigns, the registry makes no claim that all its listings expose sanctions violators—those doing illegal business in Iran in contravention of US and international bars on such trade. Nonetheless, UANI includes these companies on their registry, citing news articles about legal trade with Iran. Boston Scientific and Abbott Laboratories are listed with a citation to a December 2010 New York Times list of “Companies with Permission to Bypass Sanctions.” The permission came in the form of special licenses, most of them for “humanitarian” purposes, issued by the Treasury Department. Sanofi, AstraZeneca and GlaxoSmithKline wound up on the registry after they were named in a December 2013 Wall Street Journal article on targeted sanctions relief for humanitarian trade, specifically loosening financial restrictions on the trade of food, agricultural and medical products to Iran. Contacted for comment about the five pharmaceutical companies listed on UANI’s business registry, a Treasury Department spokesperson confirmed to The Nation that none of the five pharmaceutical companies had at any point been announced as violators of Iran sanctions. “These companies have each been listed [by the Treasury Department] for being awarded different exemptions or licenses,” the Treasury spokesperson said. But that doesn’t appear to be true. The Iran Business Registry’s automated “Message Center” allows users to contact “all companies with recently reported business with Iran” and send them a pre-written e-mail demanding that they end their trade with the country. Neither Samore nor UANI responded to requests for comment to clarify the apparent contradictions. The Iran Business Registry’s listing of trade in medicines isn’t the first alleged instance of UANI’s targeting and trying to cut off legal, humanitarian trade with Iran. Such allegations also appeared in a bizarre lawsuit wending its way through court. In 2013, UANI accused Victor Restis, a Greek shipping magnate, of violating Iran sanctions and, with an associate, acting as “front-men” for the Iranian regime. Restis sued UANI for defamation. In his suit, Restis contended that he’d done no illegal business with sanctioned entities in Iran and, according to The New York Times, that “his ships made only authorized humanitarian shipments” to the Islamic Republic, including legal shipments of soya beans. Last week, we reported that Restis’s lawyers now allege in court filings that UANI continues to spread false information about the Greek shipping magnate. In that instance, the alleged conduit for the UANI’s allegations, an Israeli newspaper, retracted the claim after concluding Restis had shipped soya beans to Iran in a legitimate humanitarian transaction that violated no sanctions.